Aleks is a Senior Researcher and Project Manager for the Centre for Collective Intelligence Design. As part of the daily grind at the Centre for Collective Intelligence Design we come across a lot of interesting research and examples of collective intelligence. In our monthly blog (this is the first one) we share a rundown of some of the most interesting stuff we’ve come across. This month we take a look at a review of methods for collective intelligence in health research, advances and opportunities in citizen science and what CI and new digital tools mean for democracy. There is of course a lot out there that we miss, so if you have come across an interesting book, research paper or project please let us know in the comments below. 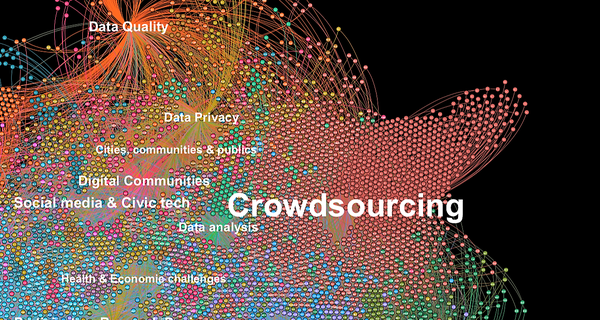 63 Methods and 4 Types of crowdsourcing for health research : Collective Intelligence is an incredibly broad field covering different disciplines, methods, subjects (we shared our own first mapping efforts earlier in the year). However, for anyone wondering how to get started on collective intelligence we recommend this review of different uses of crowdsourcing in health and look out for this upcoming publication on (exactly!) 63 Methods of mobilising collective intelligence through crowdsourcing in research through analysis of databases with research on CI. Take Citizen Science Seriously: Citizen science has disrupted everything from how we understand the galaxies around us to how we map and preserve endangered wildlife such as manta rays. This free(!!) book on Citizen Science: Innovation in Open Science, Society and Policy explains the role of citizen science within innovation in science and society, and how it can help develop and change policy in new ways. If you want to understand what citizen science is, how it has already demonstrated the value in mobilising large groups of citizen scientist in doing research and solving challenges and how we can build on this potential in the future, this is a great place to start. We’ve also recently come across this excellent comprehensive review of how citizen science might be applied to address global challenges in agriculture and food security, from monitoring of pests/pathogens to generating evidence in support of social justice. Lessons from the Moral Machine: The Moral Machine project was famously set up by MIT as an online platform for gathering a human perspective on moral decisions made by machine intelligence, such as self-driving cars. By analysing the now more than 40 million decisions in ten languages from millions of people in 233 countries and territories the researchers behind this Moral Machine study are able to tell us about our collective global preferences for who the car should in the case of an accident. Spoiler alert - it is good news if you are young, in a group and not an animal. Mixing Crowdsourcing & Machine Learning to understand job automation: Machine learning and Artificial Intelligence will have a big impact on labour markets in the future, but what professions will be most affected and how? In this talk Erik Brynjolfsson explains the research by him and others on combining crowdsourcing and machine learning to map out how occupations will change in the future based on the impact of machine learning. Cars, Crowds, Cities and Computers: staying on the road this analysis of the use of the Waycare platform in Nevada shows how predictive analytics based on crowd and machine intelligence helped reduce car crashes by 19%. The platform uses uses a combination of in-vehicle information (such as data from Waze accounts) and municipal traffic data (such as traffic cameras) to understand road conditions in real-time and communicate these back to people on the road through message boards and notifications through apps and smart devices. 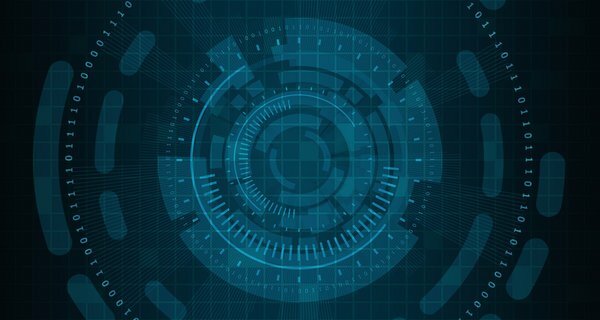 Will Democracy Survive Big Data and Artificial Intelligence? We are very enthusiastic about the opportunities in digital platforms to enable new and better forms of democratic participation and everyday decision making. However, we are also served daily reminders of the risks digital tools and new approaches to data collection pose to democracy - this article from Scientific American discussed some of the risks and how we can deal with them. It warns that too much programming in society leads to ‘programmed citizens’ with the ‘danger that the manipulation of decisions by powerful algorithms undermines the basis of "collective intelligence," which can flexibly adapt to the challenges of our complex world’. ** Bonus points for the Immanuel Kant quote. Looking at the some of same challenges but ending on a slightly more positive note, this great talk (in open transcript) by Ethan Zuckerman from MIT’s social media lab at the Civil Servant summit focuses on Using Data to Create Social Change. What happens when you invite almost 1 million users to control a single character in an online game? We love this experiment by Aleta and Mureno, which reports on the social dynamics of crowds playing Twitch Plays Pokémon. It’s a fascinating insight into the drivers of group behaviour in a real-world setting. Their results show how minorities within the crowd can be the key to successful outcomes and the way that norms persevere within groups even after the individual members abandon them. If you need to give your eyes a rest, Crowdoscope have now uploaded their five podcasts on collective intelligence to Soundcloud. They include interviews with leading thinkers on AI+CI such as Tomas Malone from MIT’s Center for Collective Intelligence, Christopher Tucci, Louis Rosenberg, Daniele Morandi and Nesta’s Geoff Mulgan. Or get outside and contribute to one of the longest running community science experiments, the annual Christmas Bird Count - open now until Saturday 5 January! 2019 events: There are a couple of interesting events in 2019 for anyone interested in collective intelligence. We particularly like the look of the 2019 Collective Intelligence event at Carnegie Mellon University, Pittsburgh, June 13-14 and the 5th International Conference on Computational Social Science in Amsterdam in July. Was just moved to say what a fantastic piece i.e. so many strands summarised and linked - brilliant!!!! 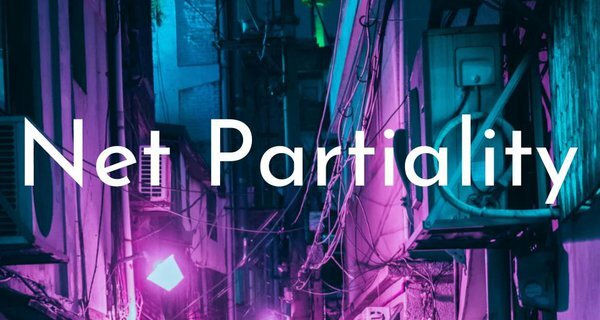 Net Partiality #3 - Our newsletter compiling interesting reads considering the future of the internet and emerging tech.